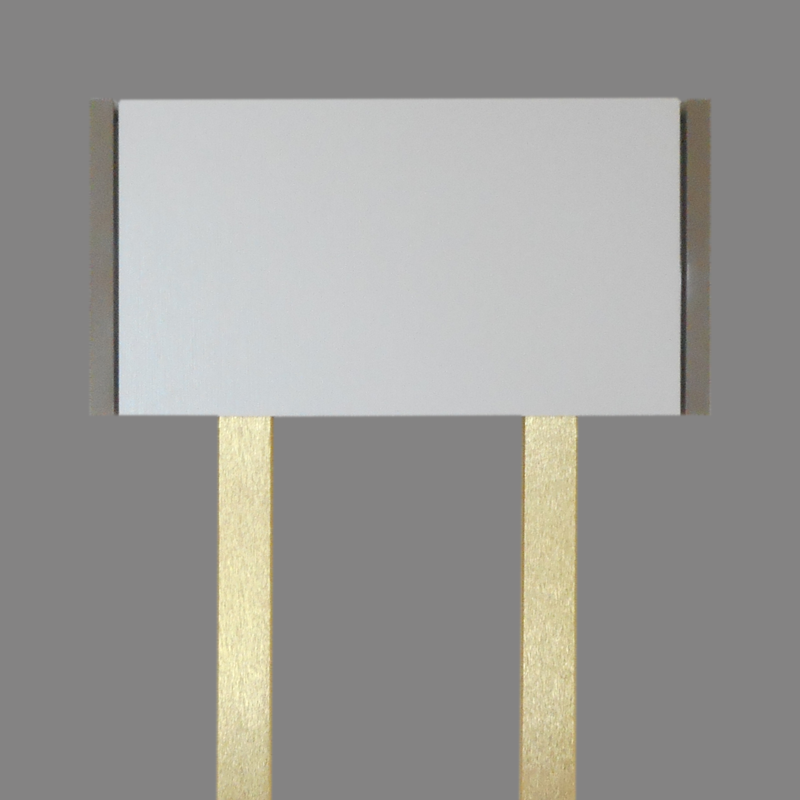 This petite Long Bell Door Chime features unusual square bells. 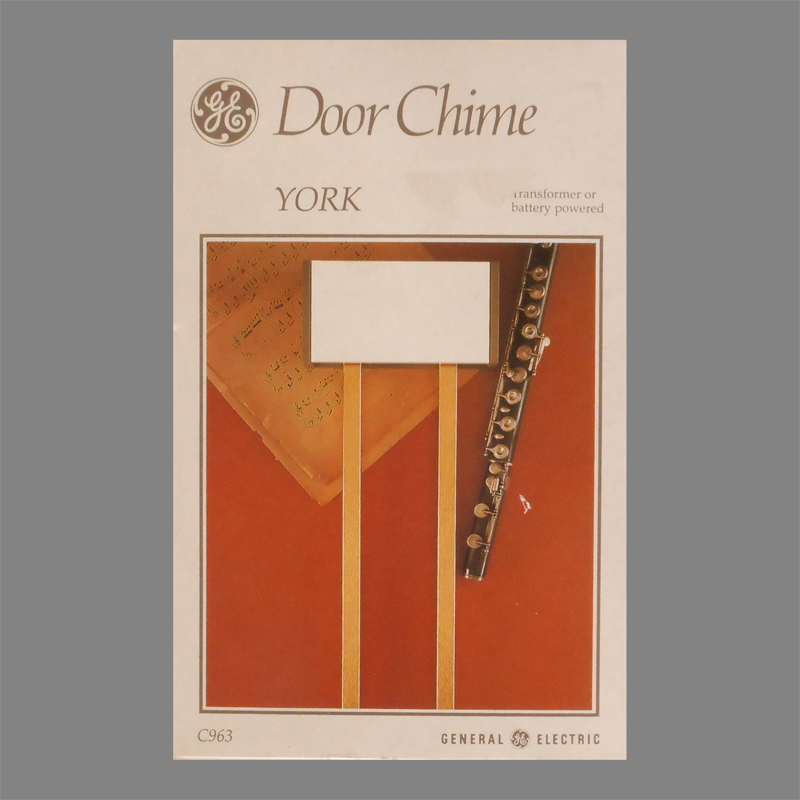 This chime was imported from England by General Electric for the US market in a partnership with V. & E. Friedland. Longbell chimes for the UK market were often shorter in stature than their North American counterparts. This one measures 32 inches from the top of the cover to the bottom of the longest bell. The York was also exported to Continental Europe. 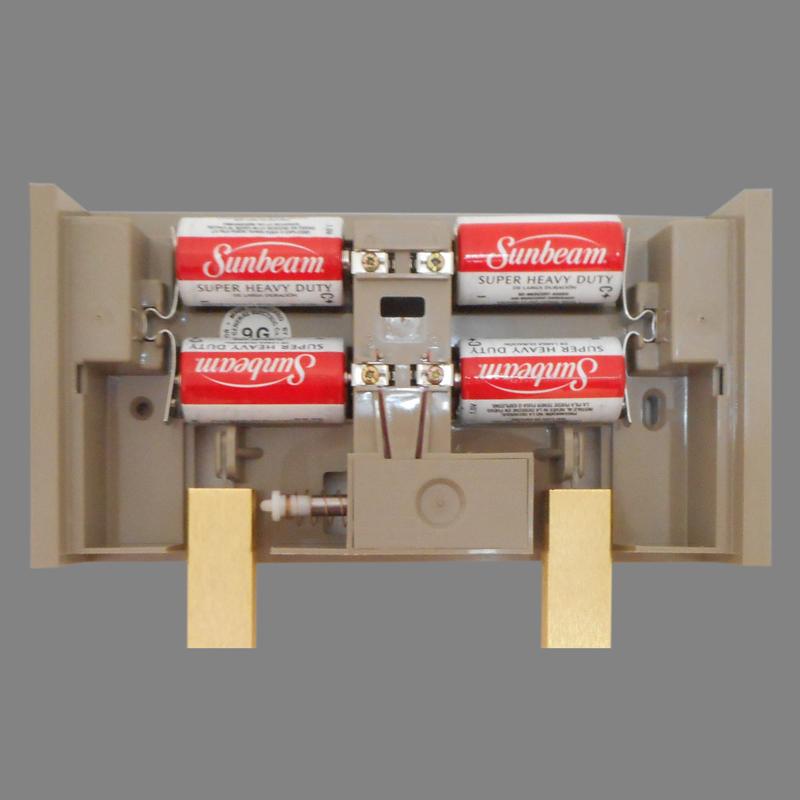 Another modification for the home market was the facility to use either a transformer or internal batteries as a source of power for installation in homes lacking a transformer. The shorter bells helped in this regard as less energy is required to vibrate the smaller mass of each bell. I surmise a battery facility was necessary because much of Britain’s housing stock was built before the advent of electricity. Although British homes of all vintages have been nearly universally wired, low voltage doorbell wiring was not practical in many homes built before the 20th century. An episode of the BBC series Upstairs/Downstairs revolved around wiring an upper class town home on Eaton place for the first time in the early 1900s. The need for batteries created another design challenge as the case had to cover the batteries as well as the mechanism. We inherited a broken Friedland York years ago. After a long search we finally found this website. And we glad to say that with great thanks to Electrachime.net our Friedland York chimes again. 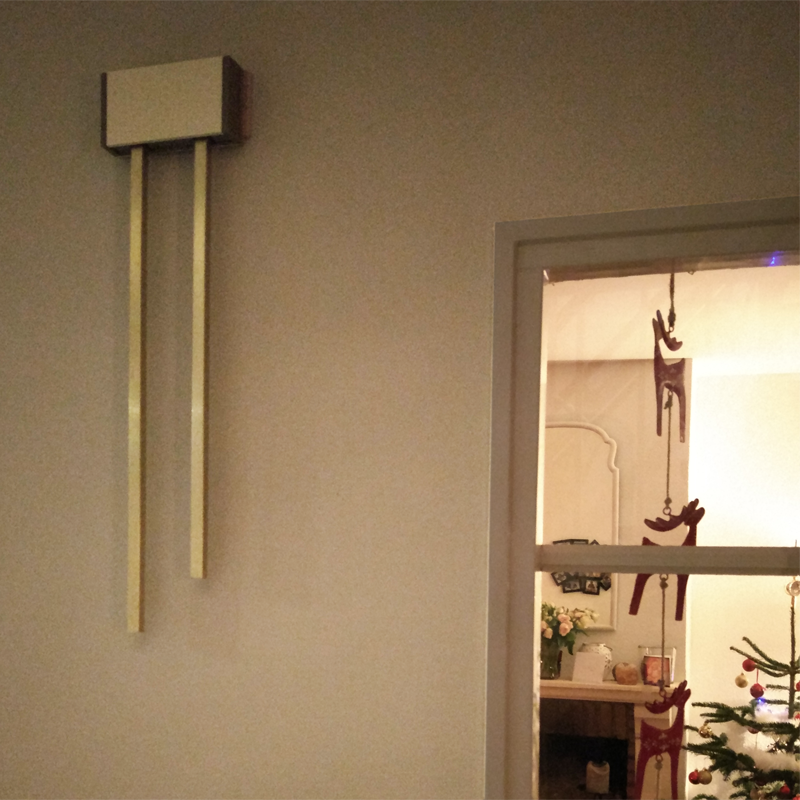 A couple of days ago, just in time for Christmas, we received the spare parts from Robert and could finally fix the doorbell.